The Canadian Sarcopenia Foundation (CSF) is Canada's first not-for-profit charity dedicated to preventing and reversing the course of metabolic disease and sarcopenia -- the progressive loss of muscle mass and physical function which occurs with aging, affecting adults beginning at the age of 30. Our foundation partners with qualified fitness facilities to offer subsidized services to diagnose and rehabilitate degenerative disorders through exercise services. We offer assistance to the elderly and those who are experiencing muscular and functional losses. The CSF aims to raise awareness about Sarcopenia through education, research and treatment. The CSF will work to prevent, diagnose and reverse the onset of metabolic disease - characterized by the presence of obesity, high blood pressure, increased fasting glucose, etc. Living with metabolic disease is a significant risk factor for the onset of diabetes and a host of other preventable chronic degenerative disorders. 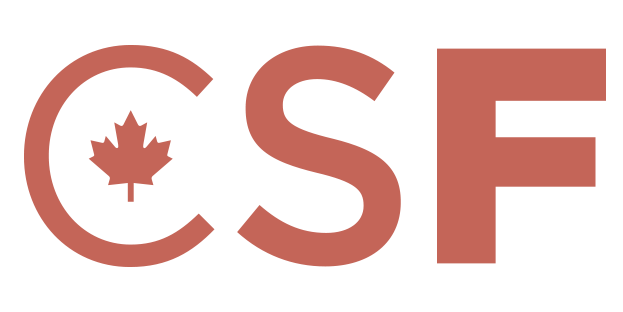 Within Canada’s health care landscape, the CSF will function as a direct intermediary between family physicians and qualified clinical facilities to bring the best preventative care to patients across the country. The CSF will educate and raise awareness of sarcopenia to help prevent future cases, especially among Canadians under the age of 30. Prevent and reverse early onset sarcopenia as well as prevent and improve the symptoms of chronic metabolic disease. Patients will be referred to partner facilities equipped to reverse degenerative disorders. Fund the treatment of at-risk individuals by working with family doctors to connect patients with professionals and facilities, which apply the principles of clinical high-intensity exercise. The organization aims to fund the expansion of these facilities and place a functional medicine physician in every partner site. The CSF funds the treatment of at-risk individuals by working with family doctors to connect patients with qualified fitness professionals and facilities, which apply the principles of clinical high intensity exercise. The organization aims to fund the expansion these facilities and place a functional medicine physician in every facility. The CSF will fund research in the area of sarcopenia prevention (including without limitation the association between [i] sarcopenia and [ii] dietary protein consumption and high intensity exercise). As sarcopenia is still highly unrecognized disease, CSF will fund research examining the link between lean body mass and chronic metabolic disease to bring attention and heighten scientific knowledge of this disease. Professor Phillips is a Tier 1 Canada Research Chair in Skeletal Muscle Health. In addition to being a full Professor in Kinesiology, he is also Adjunct Professor in the School of Medicine at McMaster University. He is a fellow of the American College of Sports Nutrition and the American College of Nutrition. His research is focused on the impact of nutrition and exercise on human skeletal muscle protein turnover. He is also keenly interested in diet and exercise induced changes in body composition. In my practice, I believe that the quality of the visit is more important than the number of patients I see in a day. I am a board certified physician with a family practice in Toronto at East Liberty Medical Centre and I also consult weekly at a weight-loss clinic. My medical career started in Montreal at McGill University, where I completed medical school and residency training. At MedX Precision Fitness, we empower our clients to create a successful and sustainable commitment to their fitness, nutrition, and overall health. Our mission is to provide accurate information and exceptional one on one coaching to ensure our clients live better, longer lives. HITuni is a modular e-learning course provider specializing in High Intensity Training for Personal Trainers and those wishing to become Personal Trainers. Due to a combination of demand and a lack of quality in certification programs in the fields of High Intensity Training, we have dedicated the last six years developing top quality courses that will educate fitness professionals and enable them to train individuals in the safest manner. WeFit.ca is an Ottawa based clinical high intensity training facility run by Master Trainers, Andrew and Tierney, offering safe and scientifically sound personal training in our nation's capital. Welcome to STG Strength & Power, the premier private athletic club in Brant County, offering real training and expert advice in a private, controlled gym setting. Copyright © 2019 Canadian Sarcopenia Foundation.